Music is an integral part of everyone’s life, and your wedding day is no exception. Depending on your views and taste, you may want to choose from traditional wedding march songs or some modern dance songs. Our suggestions, hints, and tips will help you narrow down the perfect wedding processional songs. While you go through our suggestions you’re sure to get ideas for the best first dance songs, your parents walk down the aisle and many more moments that require thoughtful musical accompaniment. We’re here to inspire! The best place to start filtering through all of your wedding ceremony songs are the time-tested classics. These are the songs you recognize the moment you hear the first note. Perhaps you know them from movies, and you’ve heard them at almost every wedding you’ve attended while growing up. When making your final choice, you may not have to look any further than this list of songs for bridesmaids to walk down the aisle. Classical wedding music usually checks all of the boxes. Traditional? Memorable? Meaningful? Check, check, check. When it comes to wedding processional songs instrumental is the most common. Pianos, violins, and organs come together to make beautiful nuptial music. Explore this style further to find cute daddy daughter songs or a romantic choice for your first dance. Spend some time with the music and the lyrics. It’s not enough to choose a song you like. Therefore, you have to LOVE your wedding processional music. Next on our wedding songs list are modern choices. 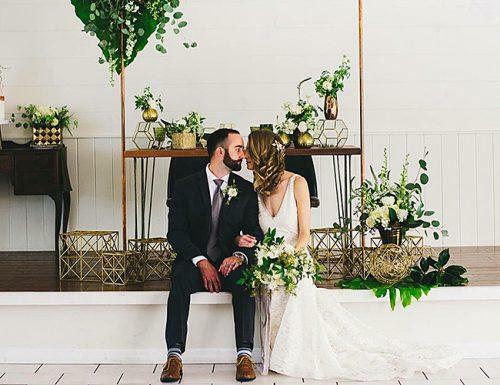 Tradition has its merits, but when choosing the perfect wedding processional songs for you and your soon-to-be spouse, many couples are turning to modern hits. This is highly appropriate for couples where music defines their relationship. First dates, first dances, and first concerts – to name a few significant events – all have the potential to deliver Your Song. The best thing about modern wedding trends is your freedom to surprise turn heads with the unexpected! 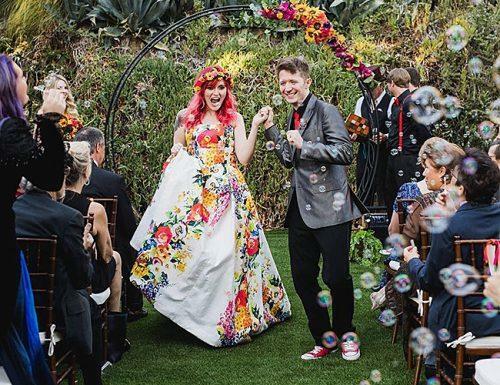 This list is to help you walk down the aisle, but any of these artists would make for beautiful modern dance songs that would be perfect for your reception. Some families will have a much better time dancing to some poppy unique mother son dance songs. Rather than stumble through a waltz, mom and son can smile from ear to ear trying to Floss Dance or the Dame TuCosita. Wedding ceremonies are directly tied to the history of wedding and rich in tradition, with music being deeply infused. Classical wedding processional songs may not be ultra-trendy or the soundtrack to your favorite movie. But, we challenge you to listen to the first few chords of “Here Comes the Bride” (Bridal Chorus – Here Comes The Bride – Wagner) and not be moved. 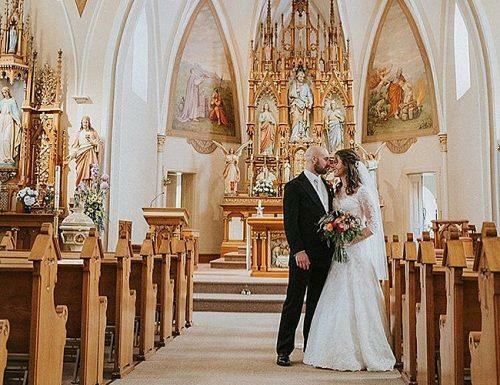 This song played on the pipe organ is synonymous with walking down the aisle and pair perfectly with traditional Christian hymns. Most traditional wedding ceremony songs come from the church, so it’s only natural. Catholic wedding processional songs are the definition of the walk down the aisle. If tradition is your style, this is your best bet. But, sticking with tradition doesn’t mean you don’t have options. This is our list of the best traditional piano and organ music for weddings. There are songs out there that you are dying to walk down the aisle to, but they simply can’t fit into the standard buckets. They defy categorization. They are more of a lifestyle or geeky passion than a music category. They’re for those couples that are building their own theme around a common passion. If this sounds like you, here are a few examples of wedding ceremony entrance songs that are sure to rock the runway and create a truly memorable moment. If you’re passionate about a sci-fi or steampunk lifestyle – to name a few – we wholeheartedly endorse plunging into one of these theme choices and hope this list helps. You can have tons of fun with the bridal party processional songs, costumes, and atypical speeches and vows! It used to be that whenever you hear the words “country music” you picture cowboy hats and pickup trucks. While this is still partially true, the genre has exploded over recent years and dug its way into the mainstream. This combination of wholesome morals and rhythmic good times is sure to be a crowd pleaser. 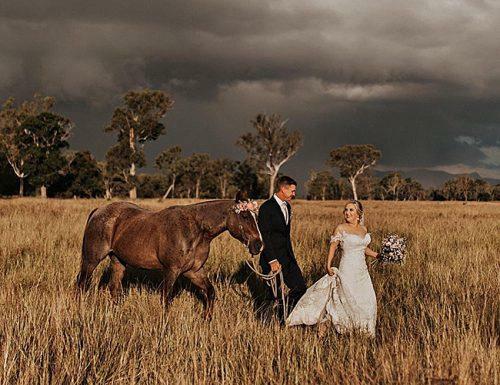 Country has no shortage of hits, some of which are supreme songs for parents’ entrance at the wedding ceremony and the flower girl’s strut towards the altar. If you’re a huge fan of country but we’re hoping for a traditional wedding march, try out some fusion. Piano wedding songs that cover your favorite tunes make for a great trendy past/present balance. Regardless of your theme and style, we’re sure you’ll find the perfect song. All you need are two things: a little inspiration, and a connection to the love of your life. These two ingredients will ensure that you’ll know the song when you hear it.